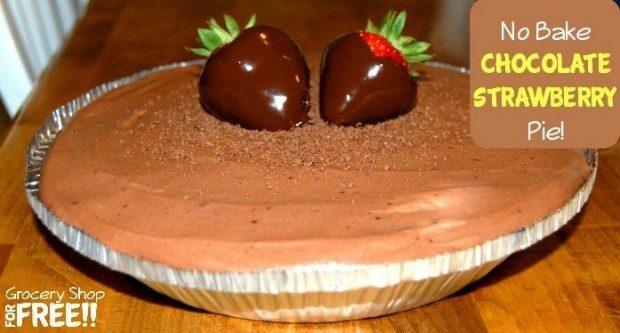 You are here: Home / Recipes / Dessert / No Bake Chocolate Strawberry Pie! Tamona is here with another great recipe: Tax Deduction #1 is having a birthday very soon. My mom bought her the ingredients to make her favorite pie. Somewhere in the process, things changed.